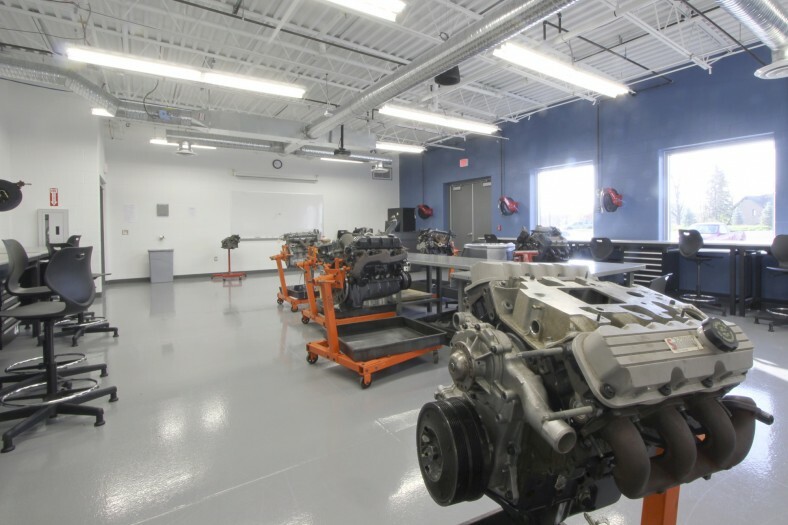 Auto/Diesel students prosper in this institute with new state-of-the-art labs, bays and classrooms. 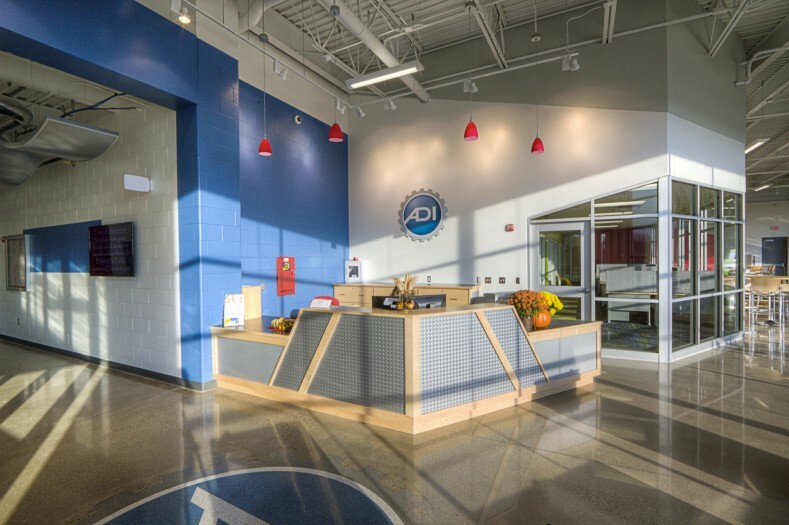 Following a campus master planning effort, this new 43,000 SF facility was constructed on five acres of campus. 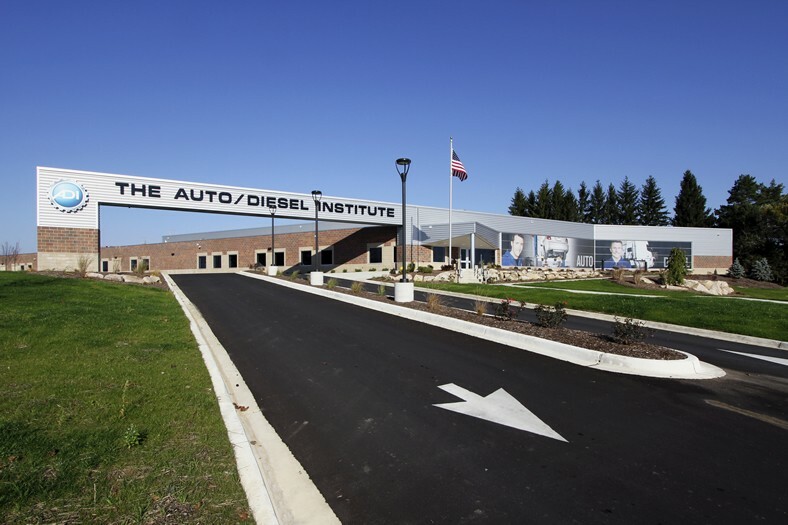 The new Auto/Diesel Institute includes an identifiable entrance for students and visitors, with a highly visible two-story glass-filled gathering space. In addition to its function as a commons area, the space is intended for displays and for receptions. 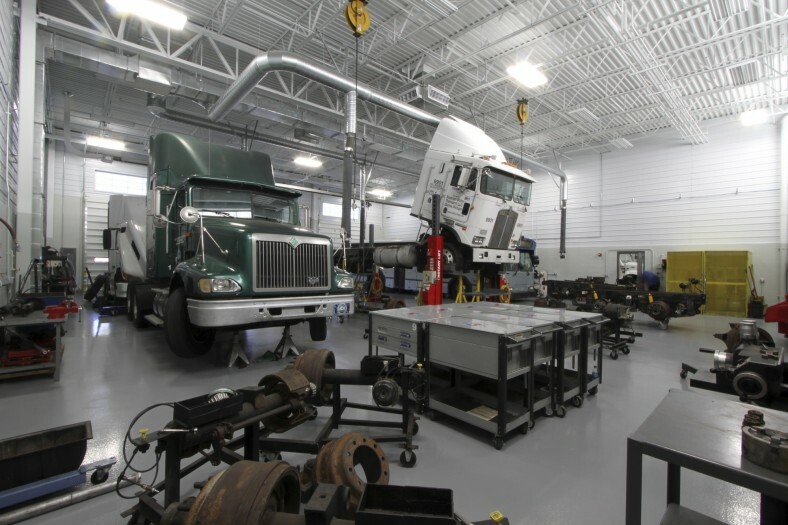 The facility includes three large high-bay diesel lab spaces with three overhead doors in each. 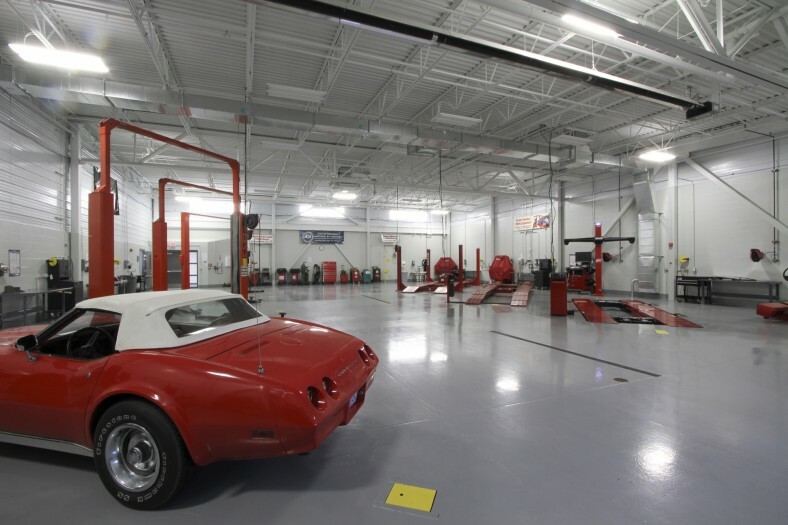 A high-tech dynamometer measures torque and horsepower of vehicles in the bays. Two auto bays, complete with hydraulic lifts and one overhead door, are also included. 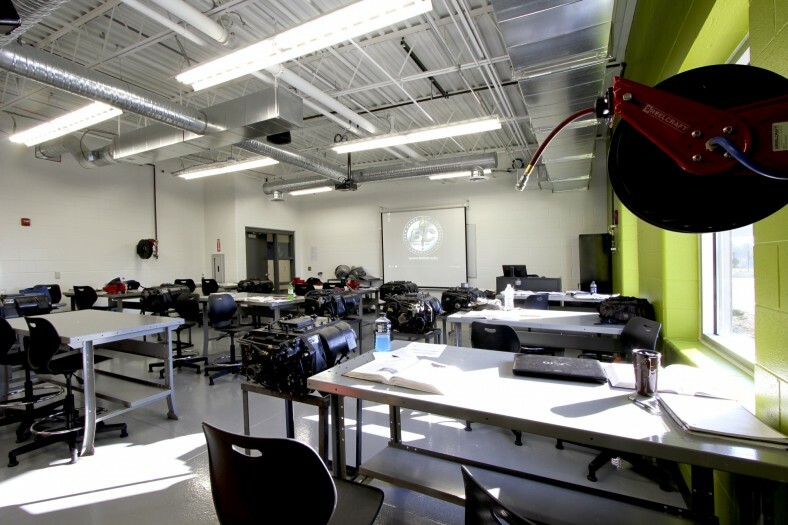 Smaller learning labs are the ideal size for engine assembly and disassembly, as well as other ‘smaller’ vehicle parts instruction. 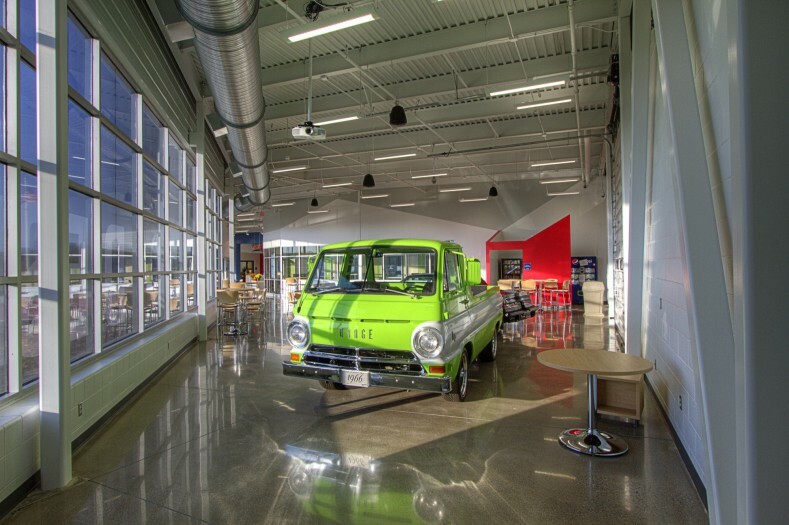 Administrative offices, storage and a parts crib are also featured within the building. 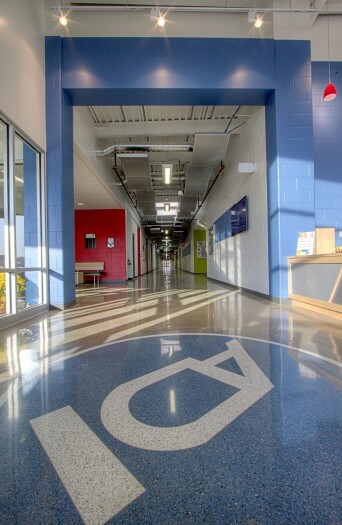 Exposed building systems provide an opportunity for students to “look under the hood” of their new facility.